Dr. Le Tang joined ABB in 1995. Since 2003, Le has been Vice President of ABB Inc responsible for ABB’s Corporate Research activities in North America. 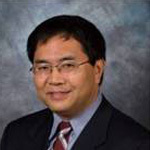 Prior to ABB, Le worked as a Senior Consultant at the Electrotek Concepts Inc., Knoxville, TN and a senior engineer at the MAGSOFT Corporation, Troy, New York. Le earned his BS in Electrical Engineering from the Xian Jiaotong University, Xian, China 1982 and his Master’s and Doctoral degrees in Electric Power Engineering from the Rensselaer Polytechnic Institute, Troy, New York 1985 and 1988 respectively.